Do these patches work with this mod? A guide to installing Dual Sheath Redux in SSE can be found at DUAL SHEATH REDUX SSE - Installation with MO2. ^^The guide is for MO2, I'm using NMM will that video apply to NMM users as well? Try this guide it worked for me. It's not that hard. There are tutorials everywhere. 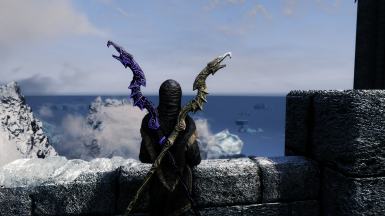 There's also an SSE version called 'Echotone Dual Sheath' which will work with any mod with left handed models, so DSR patches work too. You just have to run an already provided and set up script in xEdit, which is stupidly easy. Definitely easier than converting DSR, anyway. I tried and got it working but the end result wasn't worth the effort put in. quick unrelated question to your picture. That same spot, where that mage is standing, i can see big holes in the sea of ghost, how did you fix that ?